Proposed new construction in exclusive Cramer Mountain - possible long range views of Charlotte skyline. 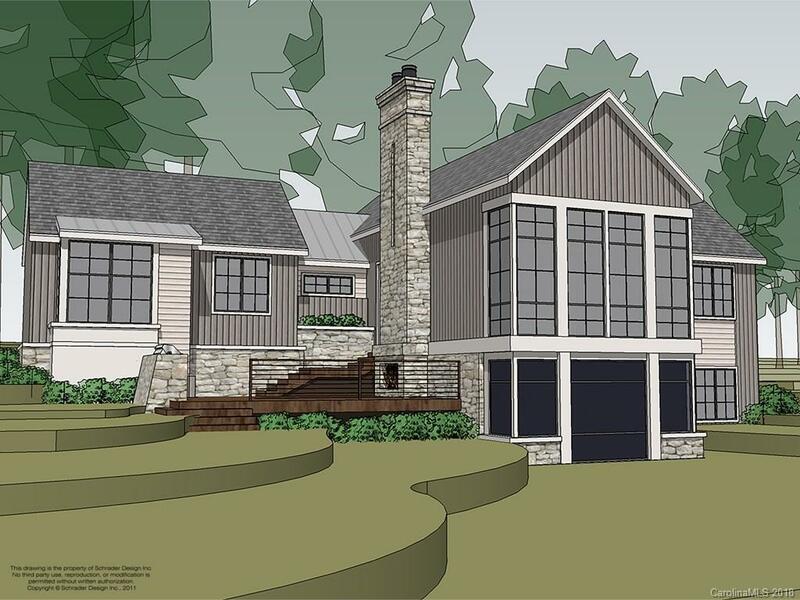 Concept home designed by preeminent architect Schrader Design as ranch w/walk-out basement. Fitting the beautiful trees and topography of the homesite, this design honors the possible views and desire for two living spaces within the home. Boutique builder J. Barwick Construction can bring this concept to life for you. The winning combination of Schrader Design and J. Barwick Construction make a fabulous team, however if desired, you may create your own plan and use your own builder. Lot for sale MLS 3283408. Cramer Mountain is a gated community on the doorsteps of Charlotte NC. Located along the South Fork of Catawba River, you may enjoy private golf course, private sport pool, tennis, and club activities by joining Cramer Mountain Country Club. Located 30 minutes to uptown Charlotte, 20 minutes to Charlotte Douglas International Airport. Relaxed and social lifestyle awaits you!